Are you suffering from dry, cracked feet? Have you been actively searching for that PERFECT product that will restore your poor feet back to their original luster? As a podiatrist (foot doctor), I see a multitude of patients who present having tried everything they could get their hands on to address their stubborn dryness with no success. By the time they reach my office doors, they are just plain fed up. Frankly… I can’t blame them. Whether the cause of this unfortunate situation is due to foot fungus (a.k.a. Athlete’s Foot), psoriasis, just simply dry skin or a whole host of other possibilities, I can definitely help! Here is my review of an amazing product called Puriya Wonder Balm… it truly is the “wonder balm” of all balms! Puriya Wonder Balm – What is it? Puriya Wonder Balm is an advanced, over-the-counter medication formulated specifically with potent antifungal, antimicrobial and antiseptic properties in order to combat the associated itching and inflammation that stems from ailments caused from fungi such as Athlete’s Foot, etc. Claiming to be one of the top antifungal treatments on the market today, Puriya Wonder Balm prides itself in being construed of 100% all-natural ingredients and its developers strive to educate people to avoid the “other” over-the-counter, topical antifungal creams whose active ingredients could cause long-term health concerns. But… after seeing that specific patient’s results in curing their foot fungus and then seeing the results amongst the other patients that I recommended it to (for a wide variety of skin conditions), I am now a firm believer in the undeniable effectiveness of this product. So much, in fact, that Puriya Wonder Balm is the only product that I now recommend for foot fungus (a.k.a. Athlete’s Foot) as well as many other skin ailments. Yes… I recommend Puriya Wonder Balm even over topical prescriptions! How Can Puriya Wonder Balm Help Me? While Puriya Wonder Balm is primarily marketed for the treatment of fungal infections and does actually work wonders to cure this common problem, I have found that it is also an extremely versatile solution to a whole host of skin ailments. While the feet are my specialty and I try to stay within my realm of expertise when recommending any product to both my patients and readers, I would like to momentarily deviate from this fact and enlighten you on some other conditions that I, personally, have utilized Puriya Wonder Balm, for within my own household and family. Puriya Wonder Balm is just that… literally a wonder balm. Realistically, what other product out there seriously treats such a wide array of conditions AND is safe and all-natural? I have personally seen this product work (with my very own eyes) on hundreds of occasions with a multitude of patients and family alike. Just look to the right of only one example of the before and after results via Puriya Wonder Balm. Whether your issues present on your feet, heels, hands, body or face, I am fully confident that this extremely versatile, powerful yet gentle solution can solve whatever skin ailments you may be experiencing. I have seen it work too many times to believe otherwise. What Are You NOT Getting With Puriya Wonder Balm? Before I get to the juicy section where I tell you what superior ingredients are in Puriya Wonder Balm that make it highly effective and uniquely better than the other products in its market, I want to begin with what is NOT found in Puriya Wonder Balm for clarification purposes. 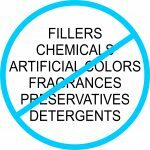 You will NOT find any filler chemicals in Puriya Wonder Balm. 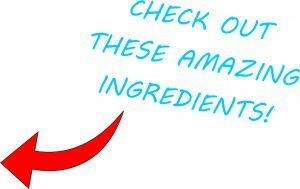 Most products that claim to be made of all-natural ingredients tend to contain certain ingredients that serve as what we call fillers. You see… true natural ingredients such as special oils and top-of-the-line beeswax are expensive. So… in an attempt to make more product for their money, many companies will grossly add unnatural, unnecessary ingredients (of which we term fillers) which are merely for the purpose of the creation of additional quantity at little added expense. The results… these fillers actually “water-down” the marketed natural ingredients usually to the point that most of the therapeutic benefits of those ingredients are lost. This technique that many developers utilize allows them to offer a “natural” product with a less-expensive price-tag, but this comes with a high penalty… decreased effectiveness. So… when you see products that promise the same ingredients that you will see in Puriya Wonder Balm, yes… they may contain those ingredients, but I can guarantee you that it will not be as potent. What Is In Puriya Wonder Balm That Makes It So Effective? While the price of Puriya Wonder Balm is a bit heftier (albeit not ridiculous) than those other filler-saturated products that claim to provide the same benefits, you know that what you are purchasing is an all-natural product filled with robust ingredients that are guaranteed to be therapeutic and absent of not only fillers, but also free of synthetic chemicals, artificial colors, fragrances, preservatives and detergents. Each of these powerful, 100% all-natural ingredients have a specific function in combating the multitude of ailments that Puriya Wonder Balm can eliminate and when therapeutically combined offer an invaluable product that is appropriately termed a “wonder balm”. How Do I Use Puriya Wonder Balm? Now that you have decided that Puriya Wonder Balm is definitely for you, what can you expect the treatment process to consist of? While other treatment regimens often require numerous, annoying, time-consuming steps, use of Puriya Wonder Balm is very easy and straightforward and merely consists of the following actions. Clean The Area of Concern: Simply wash the area on your body that you will be applying Puriya Wonder Balm with soap and water and then dry the area thoroughly. Proper cleaning will not only maximize the effectiveness of your treatment, but will also aid in the prevention of reinfection as well as minimize the threat of your condition spreading to surrounding, healthy skin. Apply Puriya Wonder Balm: Utilizing your hand, simply apply a small amount of the “wonder balm” directly to the area of concern and gently massage into the skin. Wash Your Hands: I definitely recommend a thorough hand wash following application of Puriya Wonder Balm in order to remove excess product from your hands AND to prevent the spread of your condition. Go About Your Day: No need to do anything else except to enjoy your day and know that you are one step closer to the elimination of your foot fungus or whatever other ailment has been of concern to you. Treatment is literally as simple as that! Utilizing a distinctive compendium of Beeswax and Olive Oil, Puriya Wonder Balm prides itself in providing you with a “Stay-on Formula” that is guaranteed to effectively stay on your skin longer than any other competitive cream or lotion. This only maximizes the effectiveness of the balm and allows whatever your affliction is to heal faster. You just sit back and allow the powerful, natural ingredients to do their thing… cure your ailment! I usually recommend an easy-to-follow twice-daily application of Puriya Wonder Balm in the initial stages of treatment. Once you do notice an excessive improvement (which usually occurs within a few days), if twice-daily application is difficult or inconvenient, I typically tell my patients that they can decrease treatment to once daily as long as the residual condition continues to improve. Does Puriya Wonder Balm Have Any Drawbacks? I definitely recognize that every individual is truly unique and with that comes nonpareil experiences regarding the use of Puriya Wonder Balm as is expected with the initial use of any new product. 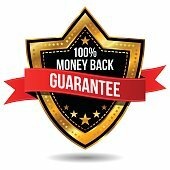 Due to the above statement AND because of the company’s confidence that you will be completely satisfied with Puriya Wonder Balm, Puriya amazingly offers a 180-day money back guarantee. Should you not be 100% ecstatic about your personal results achieved via the use of their “wonder balm”, all you have to do is simply contact the company for a full refund… no questions asked! In an attempt to ease any speculation, I would like to fully disclose any and all features of dissatisfaction with Puriya Wonder Balm that I have ever been purvey to via my hundreds of patients that utilize this product on a daily basis. Smell: More people than not love the smell of Puriya Wonder Balm; however, I definitely wanted to reveal that a very small portion of my patients do report an unpleasant odor associated with the application portion of the balm. During application, there is a scent present that smells of hints of Eucalyptus, Tea Tree Oil and Menthol. This usually completely subsides after application, but it you are very sensitive to smell could prove bothersome. Price: Initially, upon recommendation of this product to my patients, I do usually get some grief regarding price. I respond to this by recognizing that there are cheaper products out there including prescription medications. But… you are paying for effectiveness. Quantity: This product arrives in a compact, 2 inches X 3 inch bottle and holds a mere 2 ounces of balm. I can understand the concern of needing to purchase multiple bottles to achieve the desired results; but, when you consider that a small amount of this product goes an extremely long way in treatment AND that this small container will last you roughly 6 months applying the balm twice daily, it is reasonable for me to state that in the long run this will cost you less than your other typical treatment options. NOTE: With the average treatment area, it should NOT take 6 months for you to reap the benefits of this product. This was merely an example that if you were to apply the product twice daily that it should last a time span of approximately 6 months. Usually, you are cured of your ailment far before the initial container of balm is even close to being emptied. Texture: Some of my patients do report a feeling of oiliness or greasiness associated with the area of application after the balm has been in place for an extended period of time. This is definitely one downfall of Puriya Wonder Balm’s “Stay-on Formula”. I typically advise to clean the area and re-apply when this does occur and the problem subsides. To me… this bothersome component proves that this product is still working to cure your ailment even hours after initial application! Side Effects: While extremely rare (as in I can count on one hand the number of patients that have experienced this), I do feel the need to mention that as with literally ANY product, there are possible side effects… even though this product is made of 100% natural ingredients. 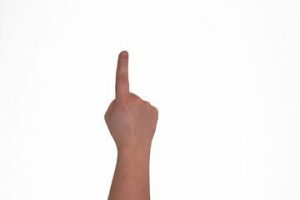 Abnormal Sensations: I have had reports of a mild itching or warming sensation upon application which was quickly corrected by decreasing the thickness of application. 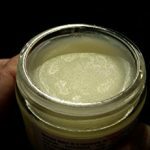 Allergic Reactions: Allergic reactions to the natural components utilized in this balm are very, very rare… but does have the potential to occur. If I have a patient that complains of extremely sensitive skin, I always recommend for them to apply the balm on a very small patch of skin prior to beginning treatment to ensure that no reactions will occur. Lastly, I would like to state that while this product is advertised to cure toenail fungus, I do NOT recommend the use of this product for this cause. 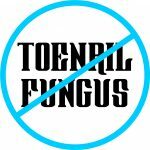 Toenail fungus has to be approached differently than skin conditions as our nail plate creates a barrier for penetration of ingredients not specifically formulated for this feat. My goal is to educate you on products that truly work for your ailments and I have not visually seen for myself any benefit of using this product for the purpose of treating toenail fungus. 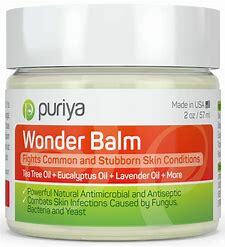 My Conclusion is Final – Puriya Wonder Balm Works Wonders! Hands down… this product excels far above any of its competitors in its effectiveness of treating not only foot fungus, but a very wide-array of other skin conditions as well… and it is made of 100% natural ingredients. Believe me… after over a decade of practice, I have seen and tried it all. My continued search for the absolute best product for the treatment of foot fungus as well as many other hard-to-treat skin disorders is now over… Puriya Wonder Balm simply can’t be beat! As a powerful treatment option to successfully address and cure such a multitude of ailments and conditions, Puriya Wonder Balm is definitely a fabulous multi-faceted addition to your medicine cabinet. I know that it stays fully stocked in mine. Go ahead… purchase your own Puriya Wonder Balm now… it definitely gets my full recommendation. You will NOT be disappointed! DON’T WAIT… YOU NEED THIS PRODUCT!!! As with any of my product reviews, I want you to know that I am truly here to help you make educated and informed decisions regarding your health. I welcome your comments, concerns and questions below. In addition, feel free to leave your own review of this or any other product below. 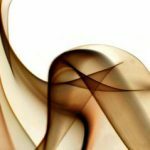 Both my readers and myself would love to hear from you! I like to walk around barefoot a lot, so I am always battling against calloused heals and dry skin on my feet. Normally, I rely on using a ped-egg, but I have been looking for a moisturizing treatment that I could use daily to prevent the callouses and dry skin from forming. Do you think this product would be good for that? Hello Ashley and thank you for responding to my post on Puriya Wonder Balm! I am absolutely certain that this product will work wonders for your dry skin and callouses. You are going to LOVE the results that you get! The high doses of several of the therapeutic grade ingredients in this particular product such as Tea Tree Oil, Eucalyptus Oil and Lavender Oil function together in order to effectively and deeply penetrate even the most calloused skin. This then allows the other natural ingredients to adequately infiltrate and provide an intense level of moisturization thereby preventing the dry skin from returning. Once you try this product, you will never return to any other treatment regimen. It is literally that good! I hope this information is found helpful! Make sure to come back and report your experience and success with Puriya Wonder Balm. You will NOT be disappointed. Thanks again and have a wonderful evening! I have never heard of this product before, but it sounds wonderful. My wife has extremely sensitive skin but I definitely think that she would benefit from the Puriya Wonder Balm. Her doctor and dermatologist have, for many years, been searching for a product for her for many of the conditions that you mentioned, but she is just too sensitive to tolerate what they have recommended (both prescriptions and over-the-counter). It sounds as though this may just be the product for her since it is fully made of natural ingredients with no added chemicals. I’ll let ya know the outcome. Thanks for this recommendation. Hello Joseph! I am so glad that you came across my post regarding Puriya Wonder Balm. While I have personally never had a patient that suffered from any type of allergic reaction with this “wonder balm”, I do want to caution you and your wife that it is possible. Some people do have sensitivities to even the most natural ingredients. I would definitely recommend that she perform a patch test on a very small section of her skin prior to any liberal application just for added precaution. Again, I am very glad that you found my review on Puriya Wonder Balm beneficial and I cannot wait to here back from you regarding her results! I think you both will be overly pleased with the results. Should you have any questions or concerns throughout your treatment with this product, please know that I am truly here to help! Have a great evening! This product sounds incredible! I live in a very humid climate, so I find it hard to keep my hands and feet from drying out. My hands especially are covered in cracks and rips from being dry! It’s funny how moisture in the air makes your hands dry, isn’t it? Would you recommend this product as just an everyday moisturizer? It’s near impossible to compare all the different moisturizing options at the drug store, and especially online. Plus, who has the time? Natural ingredients are important to me, because I use moisturizers several times a day, so I don’t want to be using anything that will end up having negative effects. Good evening Isaya and thank you for visiting my site. Puriya Wonder Balm is literally THE WONDER BALM!!! Isn’t it amazing at what your surrounding climate can do to not only our hands and feet, but even our faces as well. I completely understand that feeling of dry, cracked feet and hands. It can make a person miserable. Regarding your question concerning the use of Puriya Wonder Balm as a daily moisturizer, I couldn’t recommend a better product for this purpose! With ingredients consisting of Tea Tree Oil, Eucalyptus Oil and Lavender Oil (which are the moisturizers of all moisturizers) in real therapeutic doses, your damaged, dry skin is left feeling softened and deeply hydrated. And… I do recommend multiple applications daily as this is totally natural and safe with no possibility of any long-term negative effects! I can’t wait to hear your praises of this product! You will truly be in awe! I have provided you a link to click for ease of ordering! Just click HERE and you will be in moisture paradise in no time! This is a great post. You explain the product very good. Do you use it yourself? I know you are a doctor, but maybe you also use it. 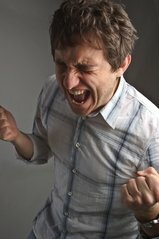 I will share this article with some friends, that may help them. Thank you very much for this awesome review. Good morning Damien. I am so pleased that you found my post on Puriya Wonder Balm beneficial. 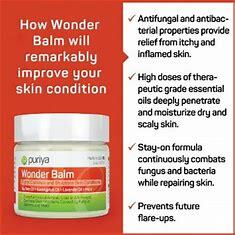 I absolutely use this amazing “wonder balm” on my feet and hands on a daily basis. The moisturizing effects are just out of this world… I have never found a better product. This is truly such a multi-faceted product that offers an effective cure for such a wide-array of conditions. I definitely keep plenty Puriya Wonder Balm in my medicine cabinet at all times. From cuts & scrapes, burns, dryness, fungus to a host of other conditions, my entire family benefits from this product. Thanks again for your comment. Please refer them to my site. I am truly here to help and am more than happy to answer any questions that may arise! It’s great to see that you have reviewed this natural based balm (Puriya Wonder Balm) effective for mostly any type of skin infections. And it’s appreciable that you sort out some other natural based medicines for a number of different skin ailments. I too have suffered from a chronic fungal infection over the years which lead me towards taking medication for this. Nothing has been very effective. The Puriya Wonder Balm seems a bit on the expensive side for folks like me, but as per the worthiness of product, I am thinking that it should be really helpful for myself (and anyone who really wants a more natural solution for skin problems for that matter). I am biting the bullet and purchasing some now. Thank you and wishes. Thank you for visiting my platform Ganesh. I am definitely an advocate for natural products. We just still are not aware of the potential long-term side effects from all of those non-essential ingredients found in most creams and lotions. Why even take a chance when there ARE products that are void of these nasty chemicals? I know that you will not be disappointed in your purchase of this wonder balm! Please come back after you have given it a try and let us know your results. I know that you are soon to believe that it was worth every penny! Thanks again and have a terrific evening! Hey, this product looks truly awesome! I work in a herbal apothecary and we make a lot of our own creams from 100% natural ingredients, and I recognized everything on that ingredient’s list as we use all of them in the shop. Lavender and tea tree are just fantastic for killing fungus, so I can see why this wonder balm does in fact work wonders. I can also vouch that these essential oils don’t come cheap, so you are actually getting really good value with this product…especially as it lasts a whopping 6 months. This wonder balm could truly be life-changing. Who wants to put nasty, cheap chemical-based creams on something that is already inflamed? I know I’d go for the natural Puriya Wonder Balm every time. Thanks for a great review. Hello Stefanie! I truly appreciate your valuable comment. I know that my readers really enjoy gaining more insight from others that have some sort of experience with any component of a product. I can honestly tell you that this wonder balm has definitely proven life-changing not only for my patients, but for me and my family as well! Thanks again for your expertise on components surrounding Puriya Wonder Balm! Hi Dr. Baker. I don’t have ugly nails, but sometimes my feet may feel very course and you had stated that the puriya wonder balm will not only help with this, but that it will even get rid of acne. Is this really true – that is definitely a wonder balm. Well, this product seems very natural and quite cheap and it’s all-purpose. Thank you very much for sharing this wonderful product with me. Good morning Sharnna. Thank you for visiting my post on Puriya Wonder Balm! You read correct… this is absolutely an amazing wonder balm that not only corrects extreme dryness as well as athlete’s foot and numerous other foot conditions, but it also works very effectively in combatting even acne! Again… thank you for visiting and please let me know if you have any additional questions! I am here to help!